I never write reviews, but feel compelled to do so, as I prepare to leave Swell after 15 days of bliss. My body is battered, but this place uplifts the soul like no other. Everybody connected with Swell is amazing. 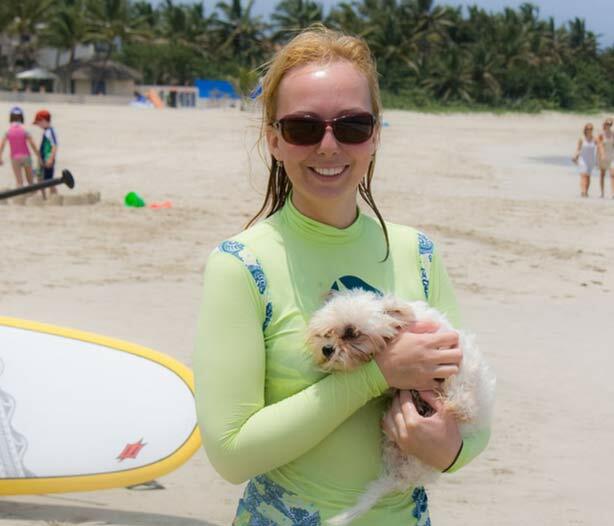 The surf instructors become real friends and interact with guests throughout. Genuine guys and so helpful. Haudy is great at organising everything. The cooks prepare the best, healthy and hearty food. The taxis to the beach get the party going. The security guys and cleaner are super friendly. Really impossible to pick a fault. Rooms are both clean and beautifully simple. Book the yoga too; Molly the yoga teacher is so much fun and keeps the classes challenging, but fun. I haven’t even mentioned the other guests….fabulous people throughout my stay, without exception. Will miss you Swell Surf Camp. Until next time…. Swell was absolutely amazing. First of all, it is extremely clean and rooms are cleaned daily. Secondly, the women cooks do an incredible job preparing meals. So tasty and fresh. Still obsessing over mango. Haudy is incredibly warm and welcoming. Great spot for a solo traveler or group of friends. Cabarete feels like it’s still a locals town and much more authentic Dominican than you would receive in a resort town. Super laid back town but with fun bars and restuarants and cute smaller establishments. Everything is walking distance from the camp. You can find pure relaxation or lots of fun at the camp. It is whatever YOU make it! Jeffrey, Neno, and Lee are incredible instructors. They alone are worth the trip. They are supportive and patient in the water but also fun and entertaining. I would have never have gotten up on the board without them and their incredible teaching/coaching. Overall, I can’t wait to be back and will continue to spread the word! You have a new fan/Swell family member. I recently got back from a week stay at Swell and it was everything I hoped for and more! I went as a Solo traveler so I’m always a bit nervous heading in, not knowing what to really expect, but the second I stepped into Swell everyone treated me like family and the nerves instantly went away. The Manger, Haudy, is a complete sweetheart and will go out of her way to make you feel conformable and make sure you have everything you need. The surf instructors, Lee and Neno are 2 of the friendliest guys you will ever meet. Both of them have amazing personalities and really want to see you succeed on the water and do an amazing job teaching you to surf. Both of them also go well out of their way to socialize and are happy to answer any questions you have about the area. They made the entire Swell experience even that much more amazing and I left with two incredible friends in them. Food was soo good. Chefs are in there hours before the dinners setting up and prepping for a delicious meals. Breakfast was also top notch! If you are on the fence about staying here, I assure you that you will NOT be disappointed! Amazing place to surf and relax with great people! I was a solo traveler, first time in a surf camp. I didn’t know what to expect, but everything turned out to be exactly as the website says! 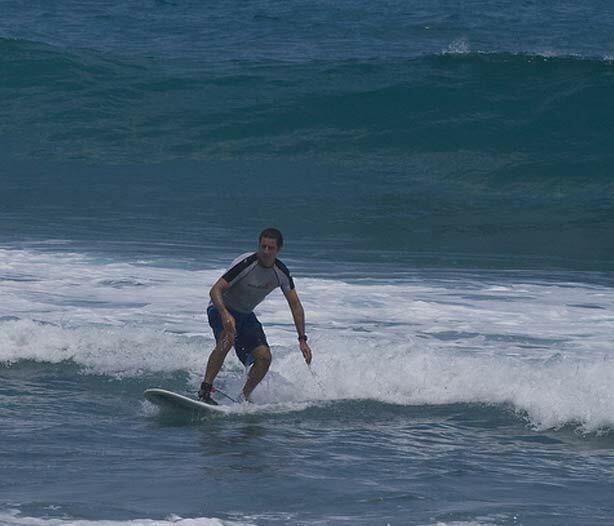 I had surfed once before, but had no real experience. I had a blast! Since it was low season, I basically had private lessons with Lee and he was great at teaching me the basics. 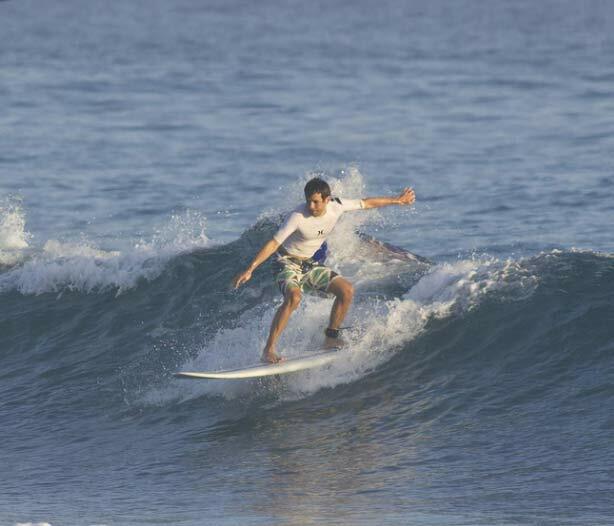 I started out with the big soft top board and left the camp having surfed green waves with a hard top board! The beach we went to surf was Encuentro. The time I was there, it was pretty rowdy, with wind picking up pretty early. 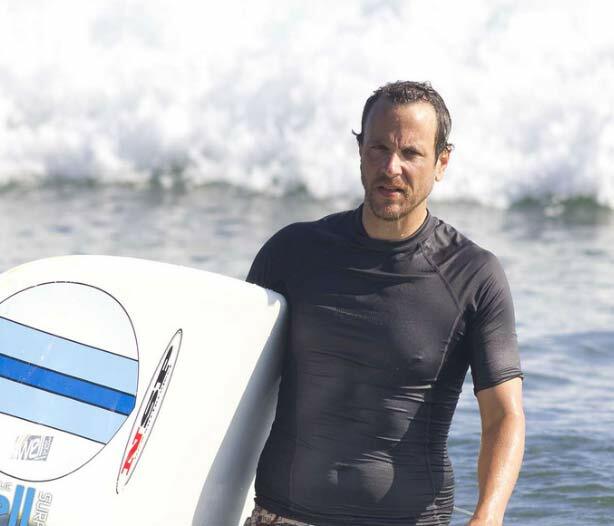 I still enjoyed surfing, but it was quite the task to get out there! The camp itself was great! Very well organized and there is always someone on duty. Haudy is a gem and made me feel right at home! I was in the dorm room, and it was exactly like the pictures! Clean, big and enough privacy. The staff was super friendly and the cooks made the best food! Breakfast and dinners were amazing. The ambiance in the camp will vary depending on who is there. When I arrived, there was a mix of families and solo travelers, everyone was super energetic and the group was very close. After a couple days, the camp was very quiet and relaxed with only a few guests. It stayed pretty calmed for the rest of my trip, but we all went to eat together, which was nice! I would definitely recommend this surf camp! The amenities were awesome, everything was designed with care and the surf schedule was perfect! Everything I Needed and More Than I Expected! I can’t identify many things wrong with Swell. All members of the staff are kind, enthusiastic, and genuinely want to take good care of you. The housekeepers/cooks are some of the hardest working women I’ve ever met, and the meals they cook will make you go weak in the knees. I never once felt like I was in anything other than good hands while at Swell. Our room was clean and comfortable, the maintenance man keeps everything working, the instructors love their jobs and want nothing more than for you to find joy in surfing, and the establishment feels safe and secure. The surrounding neighborhood can be daunting at first (especially the insane roads! ), but after spending an hour or two acclimating, you’ll learn to love the character and unique-ness of it all. I would recommend Swell to anyone who is looking for the perfect mix of unscheduled freedom with open options and structured play time. Really, the only schedule you need to worry about is surf in the morning if you want…eat a delicious breakfast at 9:00AM…maybe take yoga in the afternoon…eat dinner provided by the kitchen every other day at 7:00PM. Everything else is unstructured and yours for the taking. I got everything I needed and more than I expected from Swell. Thank you!